The location of the Aston Waikiki Beach Hotel was great The rooms, specifically the bathrooms, could be updated. Everyone was very nice and welcoming. Only thing is on top of the resort fee there is an additional fee for parking per night. Really felt that this hotel was overpriced compared to some of the other ones nearest the beach. I will not be staying here next year if the other motels like Moana Surf rider or the Marriott are priced the same as this lower scale hotel. Clean, comfortable and secure. Quiet yet right on main strip. Walk across street to beach. So many water conditions on the strip. One has breakers to stop waves from coming in perfect for kids with soft sandy bottom, one has wave an rocky bottom good for boogie boards others have mild waves. The hotel resturant bar is great. I enjoyed my stay. Liked the balcony on the top floor. Great view! Tikies bar a little pricey on food. Great location at the end of the strip. Pool was pretty small and so was the room. But right across the street from the beach. Located in Waikiki, Aston Waikiki Beach Hotel is within a 10-minute walk of popular sights such as Honolulu Zoo and Waikiki Beach. This 3.5-star hotel has 645 rooms and welcomes guests with 2 restaurants, an outdoor pool, and a fitness center. Enjoy dining at Tiki s Grill and Bar, one of 2 onsite restaurants. Entertain your taste buds with a beverage at the bar/lounge or 2 coffee shops/cafés. Start each morning with continental breakfast, available for a fee from 7:00 AM to 10:00 AM. Guests can expect to find WiFi, wired Internet, and 32-inch a flat-screen TV with pay movies and a video-game console. The bathroom offers hair dryers and free toiletries. Other standard amenities include a lanai, a safe, and an ironing board. 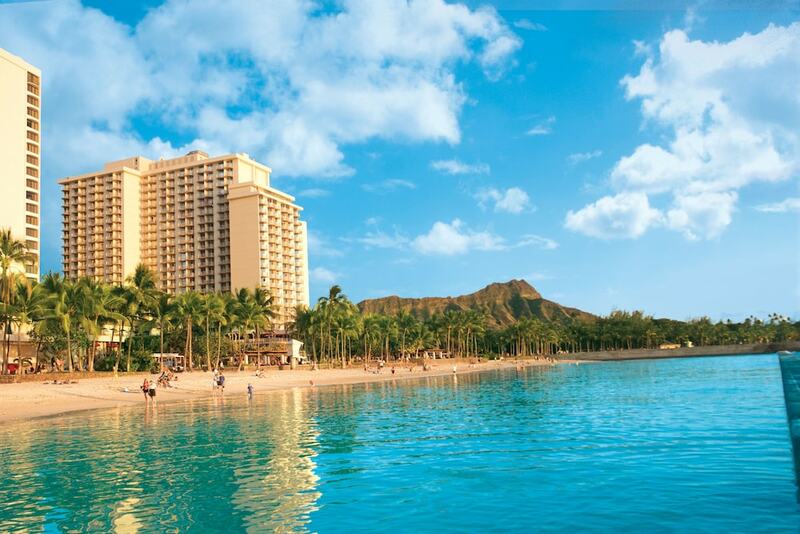 Guests of Aston Waikiki Beach Hotel have access to an outdoor pool, a fitness center, and free WiFi in public areas. Valet parking is available for USD 47.12 per day. The front desk is staffed 24/7 to help with tours or tickets, dry cleaning/laundry, and securing valuables. Other amenities at this beach hotel include conference space, a business center, and coffee/tea in a common area. We are currently on a refreshment project throughout the property. Sorry to hear that you were not happy with the bedding. Glad to hear you enjoyed the amazing ocean views we have. Continental breakfast is served daily from 7:00 AM to 10:00 AM for a fee. Tiki s Grill and Bar - Restaurant and bar serving breakfast, lunch, and dinner. Kid's menu available. Open daily. Wolfgang Puck Express - Restaurant serving lunch and dinner. Recreation features at Aston Waikiki Beach Hotel include an outdoor pool and a fitness center.